Following a shocking night at this year’s CIPR Awards (up for four, got bugger all), we’ve restored the positive feeling about awards we got from the Sabres (up for four, won four). 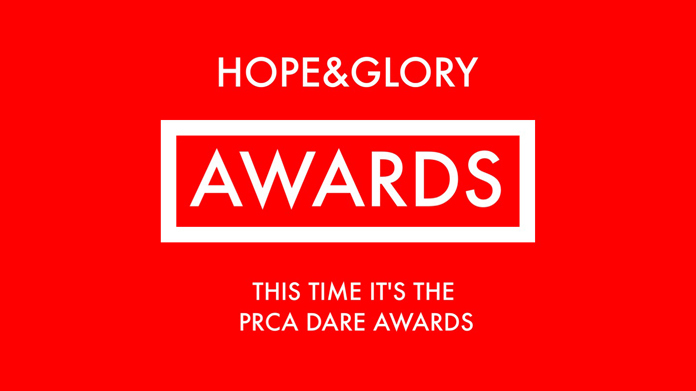 A handful of us headed to Brighton for the small-but-perfectly-formed PRCA Dare Awards to find out whether the trophy cabinet would feature any more engraved Perspex. As it transpires, it now does. The team were up for a bunch of awards and, of the ten gongs in total handed out on the night, we managed to bag three – with two shortlisted entries that remained mere also-rans. Lovely to pick up an award for work on The Royal Mint (Best Public Sector) and a couple of plaudits for our O2 UpCycled campaign (for Best “Campaign Challenges” and Best Tech Campaign). Now we head to the Digi Awards where Meantime Brewing Hops in a Box is up for a preposterous five nods from the judges and our O2 Refresh social campaign is also in the frame. We shall report back with (we hope) good news as it breaks.